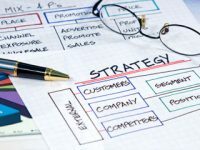 Strategic planning is an essential element in the success of your business. As many as 85 out of every 100 new businesses fail within the first five years. Often this is because a good idea was not properly developed or because of difficulties that could have been overcome if the business had planned for them. At Sleigh & Story, we believe in the personal touch. By investing the time needed to understand you and your business, we will be able to help you with the strategic planning that will make your business a success. If you have a business plan already in place, we can look over it for you and make suggestions. If not, we can write one for you based on your aspirations for the business. Working together, we can pinpoint the strengths and opportunities of your original business idea and help it evolve into a workable solution. Your plan will become a valuable tool as you set out to raise money for your business. It will also aid decision-making and provide milestones to gauge your success as you grow. One of the reasons that many profitable businesses fail is because of cash flow problems. To counteract this, we can produce cash flow forecasts based on your business plan. These will identify periods when additional financing is required or where there is surplus cash that can be invested. Last but not least, you can also take advantage of our mentoring service, whereby we will work closely with you to assist you in developing and implementing your business strategy.